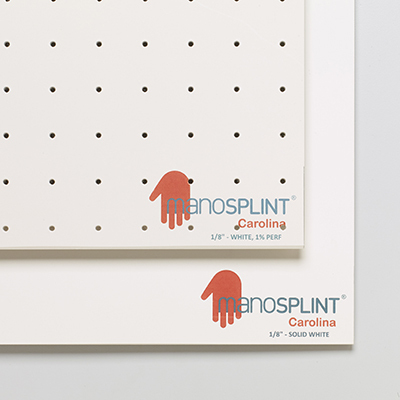 Manosplint™ Carolina material allows for exceptional control during the fabrication process, especially if the patient is unable to assist with positioning. Dimensions: 36" x 24" x 1/8""
Manosplint™ Carolina material allows for exceptional control during the fabrication process, especially if the patient is unable to assist with positioning. The perforated surface allows for air circulation without sacrificing rigidity.